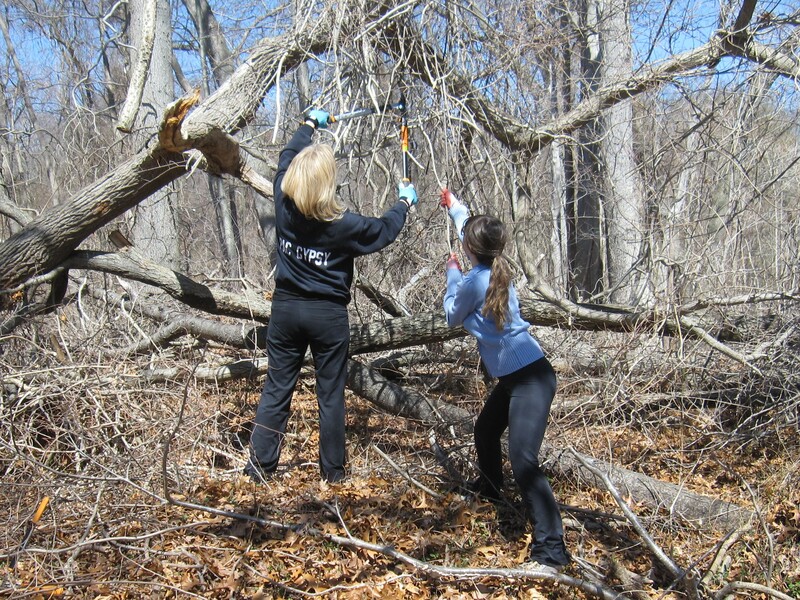 With Sunday (April 12, 2015) being the first sunny and warm day of the year, four volunteers agreed to cut a dense thicket of oriental bittersweet from a stand of sassafras and and black birch trees in a small wooded area at Caumsett State Park on Long Island’s North Shore. 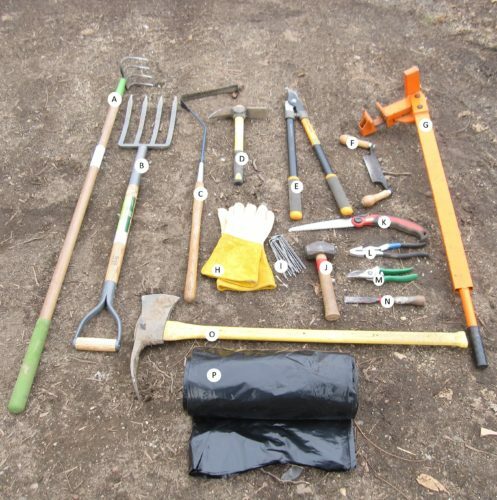 They wore thick gloves and were equipped with several large loppers and limb saws. The old adage to always use high quality tools came to mind as we managed to ruin two large loppers in no time, and the rechargeable sawsall’s battery failed to hold a charge. 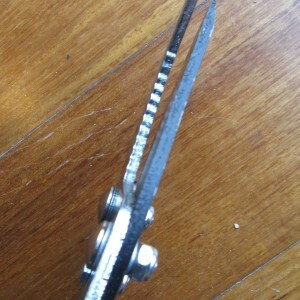 Lesson being, always check your equipment before starting. 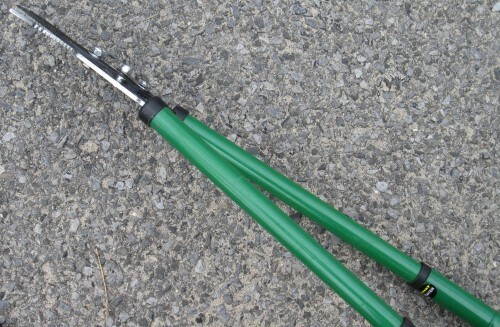 These bypass loppers are too lightweight to cut thick bittersweet vines, and forcing them only damages the tool. 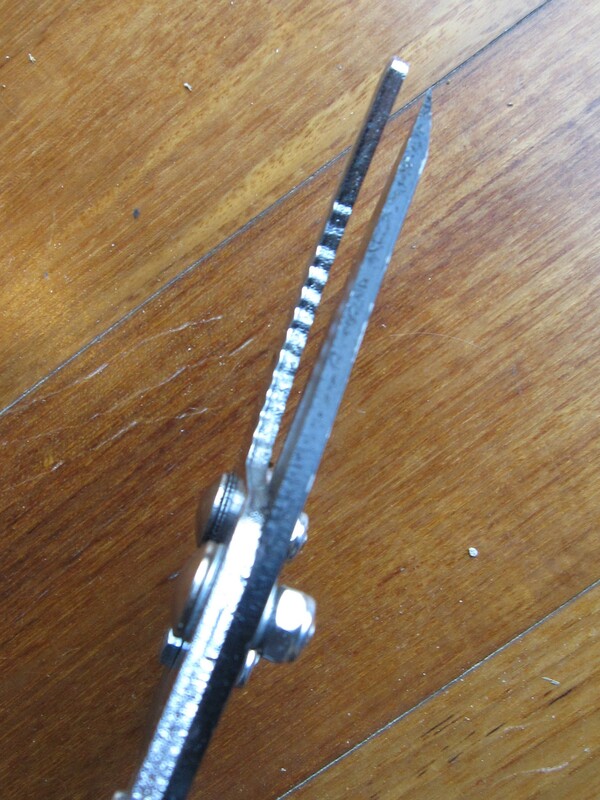 The loppers twisted, resulting in a gap at the scissor end. Click here for the best loppers for pruning. 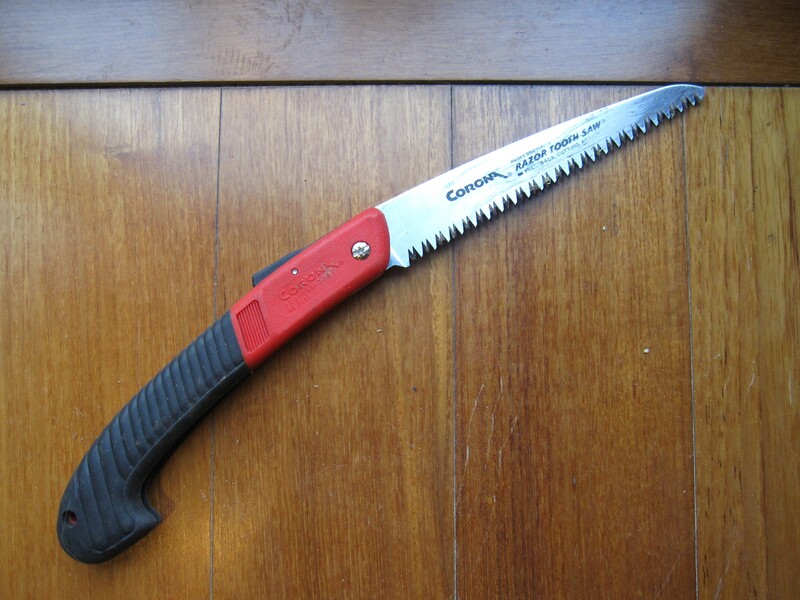 It was the lowly folding hand saw with a limb blade that saved the day. 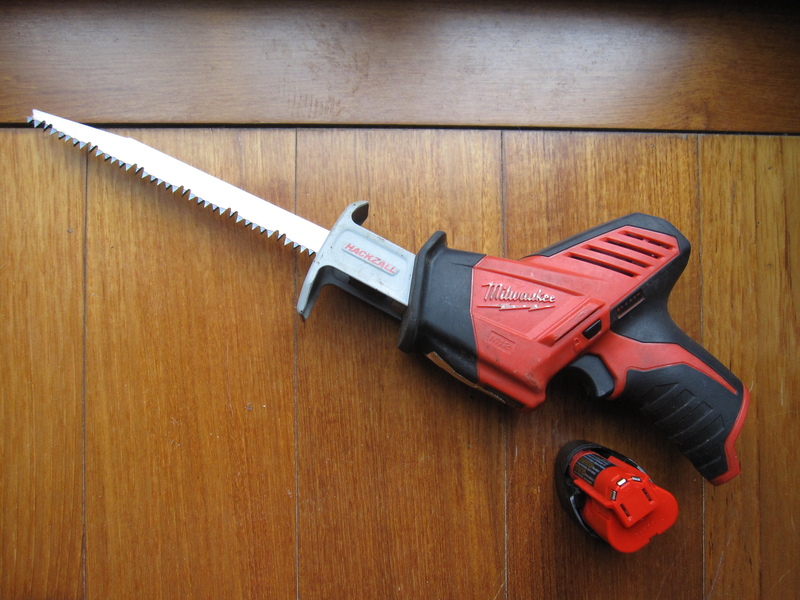 As much as I thought such a small tool could never cut through three inches of vine without exhausting effort, this one did. Oh, the joy of saving beautiful trees from being choked out by the deadly oriental bittersweet.